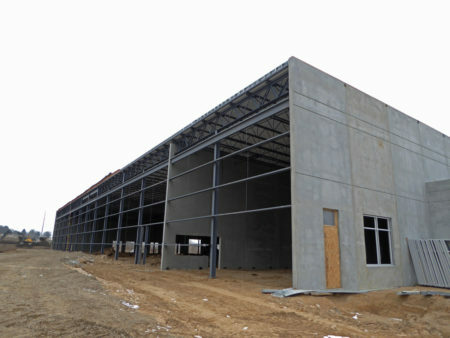 New Corporate Headquarters Facility for Viking Group, Inc. - Byce & Associates, Inc.
New Corporate Headquarters Facility for Viking Group, Inc.
Byce & Associates, Inc. is excited to be providing Architectural and Engineering Services including Structural, Mechanical, Electrical and Interior Design for the New Corporate Headquarters Facility for Viking Group, Inc. in Caledonia, Michigan. The intent of this new 2-story, 173,500 square foot building is to provide an iconic yet cost effective facility for research and design, training, manufacturing, and production processes. The space will include space for Human Resources, Marketing, and Finance departments, meeting rooms, collaboration areas, production areas, conference rooms, and significant room for additional growth. Another important aspect to this building is an expanded, state-of-the-art, Research and Development Center, complete with operable ceiling systems, Foam Room, dedicated testing areas, and a customized tool room for prototyping of ideas and concepts. A high-tech training facility is also featured to support the organizations goal of becoming the recognized leader in fire protection training. A key feature of the facility, setting the tone of the corporate culture and brand is the employee cafe. This dynamic double height space brings in natural daylight through a curtainwall system, while also connecting the two levels together, enhancing the open and collaborative culture. 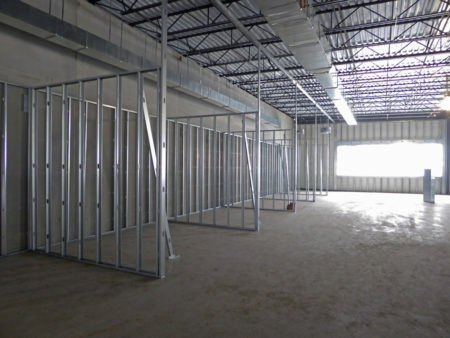 We are proud to be working with First Companies of Grand Rapids, Michigan, the Construction Manager on the project, from conceptual design on to completion. To keep up with the progress of this project be sure to follow us on social media or click here!